Whenever my friends attend parties I can hardly wait to corner them and find out all about the food that was served. Forget the guest list or the locale. I want to know about the food! If I can’t sample it myself I can always live vicariously, right? A good friend of mine recently attended a very chic wedding in Malibu and couldn’t wait to tell me all about these perfect little bites. 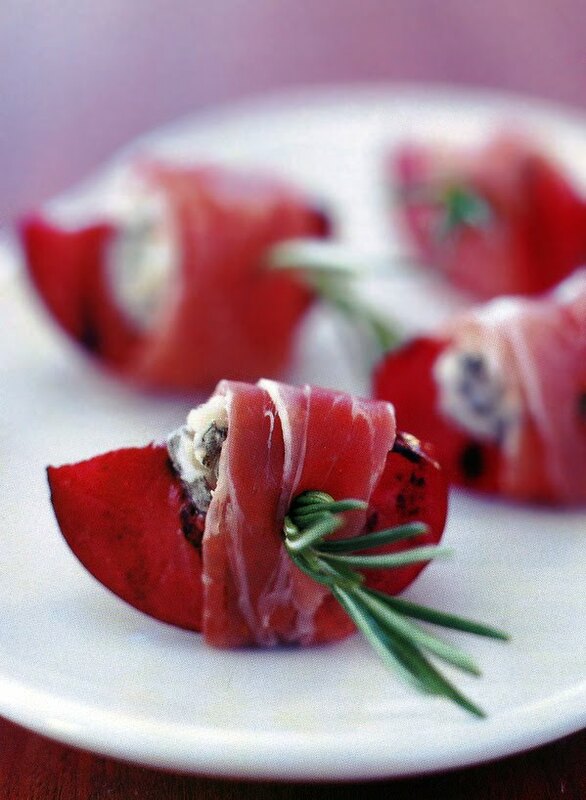 Grilled plum with a bit of creamy Gorgonzola slightly melted on top, wrapped up in buttery prosciutto and fastened together with a sprig of rosemary. An elegant, easy starter. Done and DONE! Preheat a grill pan or outdoor grill over high heat. 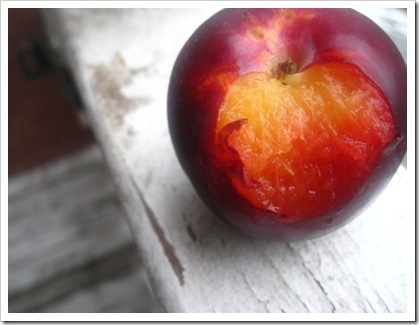 Lightly brush the plum slices with the olive oil and place on the hot grill. Turn once to get grill marks on each cut side of the fruit. Remove and cool slightly. Place about 1/2 teaspoon of Gorgonzola on each slice of plum. Cut each slice of prosciutto in half lengthwise. Wrap the prosciutto around each plum slice and skewer with a sprig of rosemary to secure.